The Navya Autonom Shuttle (previously known as Navya ARMA) is an autonomous, low-floor, battery-electric mini-bus built by Navya. 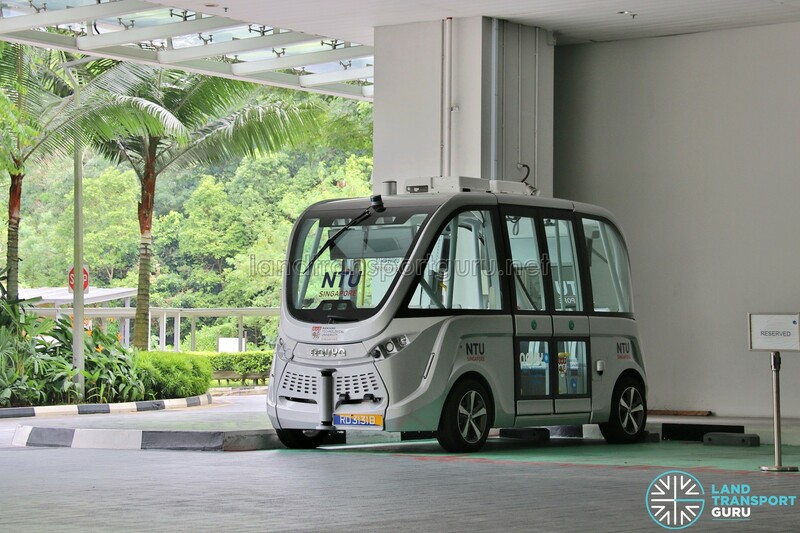 2 units of the Navya Autonom Shuttle will be trialled for a period of 3 months in 2019, operating a 5 km route within Sentosa Island (likely the Sentosa Beach Tram Route), alongside another 2 units of the ST Autobus. The buses are registered under Research and Development, with the first unit bearing the plate number RD3131B. 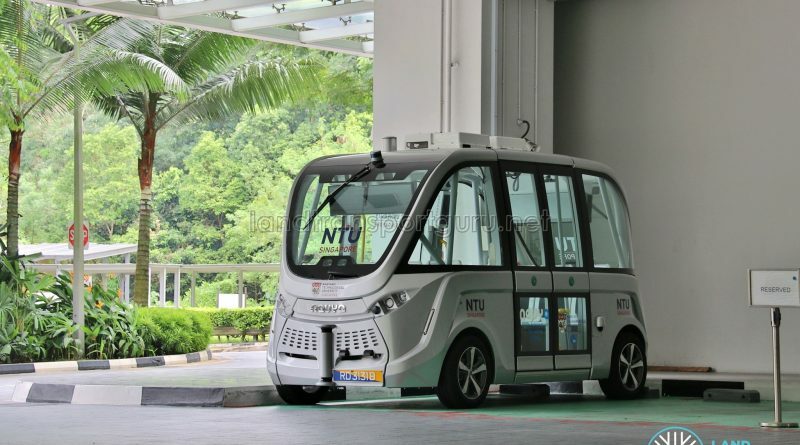 On 19 December 2016, Nanyang Technological University (NTU) signed a Memorium of Understanding (MOU) with NAVYA, sealing a two-year partnership for driverless technologies. 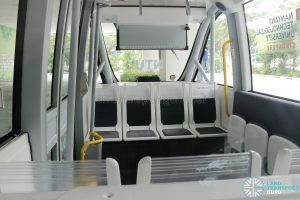 The driverless electric minibus known as ARMA (later known as Autonom Shuttle) would run a loop between CleanTech Park and the university campus at up to 40kmh — twice the speed of earlier trials. It was the third driverless vehicle to be put on trial by the Energy Research Institute at NTU (ERI@N) then. On 10 April 2017, ST Kinetics (STK) announced that it will develop four Mobility-on-Demand-Vehicles (MODVs) with Sentosa Development Corporation (SDC) and the Ministry of Transport (MOT). These vehicles are the ST Autobus and Navya Autonom Shuttle. Communicates between the GPS sensor and a base station to determine the precise position ofthe vehicle at any moment. Measures the displacement and speed of each wheel to estimate the velocity of vehicle and change in vehicle position. Detect obstacles and estimate their position relative to the vehicle. Supplement perception maps with environmental analysis (road signs, traffic lights) and classification. Provide 2D & 3D perception maps of the environment to allow for precise vehicle positioning and obstacle detection. Plug-in Charging System. A full charge takes about 9 hours, using a 3.6 kW plug. The mini bus was tested on the roads between CleanTech Park and the NTU campus in early 2017. 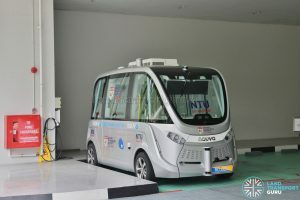 In November 2017, as part of the launch of the The Centre of Excellence for Testing and Research of Autonomous Vehicles (CETRAN), a second unit of the Nayva Autonom Shuttle was launched in Singapore, for testing purposes on the newly built autonomous test circuit. 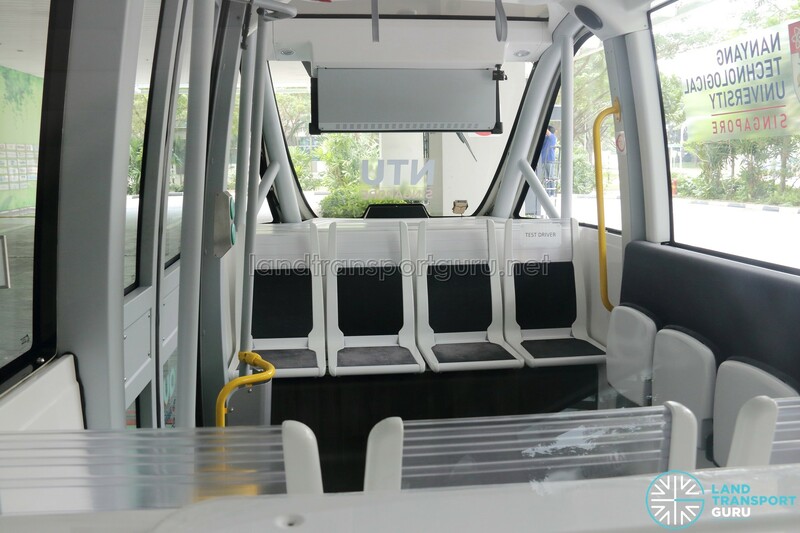 On 5 June 2018, in a joint press release with MOT, SDC, and STE, a three-month operational trial was announced for 2019, with commuters being able to hail the autonomous buses via their smartphones or at designated kiosks set up along the 5 km route on Sentosa Island. The 5 km route is believed to the be Sentosa Beach Tram route, plying from Beach Station to Siloso Point, Palawan Beach, and Tanjong Beach. The trial was mentioned back in April 2017, as part of a partnership between Ministry of Transport and Sentosa Development Corporation for a two-year trial involving MODVs. Routes identified back then for the autonomous vehicles were between Tanjong Beach – Siloso Point, Palawan East – Siloso Point & Sentosa Golf Club – Imbiah Lookout. From 5 June 2018, the autonomous shuttles were tested along a 1 km stretch of service road at Tanjong Beach to iron out their operational systems and safety protocols. The testing would be progressively extended to a 2km route linking Palawan and Siloso beaches by the end of 2018. During the testing phase, the autonomous vehicles will not ferry commuters. As part of the trial, ST Kinetics developed a platform agnostic fleet management system which will analyse passenger demand planning and optimise route management in ride sharing services.